Radioecological situation in Dnepropetrovsk region in light of its complexity and environmental threat and population (including future generation) health hazard, is unparalleled in Ukraine. This is stipulated by the fact that during more than 60 years underground mining of uranium deposits, underground leaching of uranium ore, blast-furnace melting of uranium and iron-bearing ore, extraction of uranium salts from blast-furnace slag of uranium and iron-bearing ore, extraction of uranium salts from uranium ore and its concentrate, burial of radioactive wastes resulting from extraction and benefication of uranium ore, as well as the use of radiation sources for the process control at hundreds of the regional enterprises, burial of radioactive sources and wastes generated in various industries of five regions of Ukraine, manufacture of special instruments and equipment using medium and high-powered radiation sources were in place. In addition to the above said the largest in Europe Zaporozhskaya atomic station with 6 power units is located at the region boundary. Beginning from the fiftieth of the last century, uranium ore was produced in Zhovti Vody and Krivoy Rog cities. Uranium ore production was ceased in 1967 in Krivoy Rog and in 1990 - in Zhovti Vody. The Leach Plant (LP) in Zhovti Vody is involved in uranium ore processing and production of uranium concentrate U3O8. Before 1991, the Prydneprosk Chemical Plant (PCP) in Dneprodzerzhinsk also processed uranium ore. In Ukraine, uranium product was extracted from Bratskoye deposit (Nikolayev region) and Devladovskoye deposit (Dnepropetrovsk region) using the underground leaching method. Uranium ore has been produced using the underground method at Vatutinskoye and Michurinskoye deposits (Kirovograd region) and Pervomayskoye and Zheltorechenskoye deposits (Dnepropetrovsk region). During the period from 1952 to 1967, together with iron ore extraction, uranium-bearing ore was produced in Ternovskiy region (Krivoy Rog) in the mines Obyedinennaya, Severnaya-Ventilyatsionnaya and No2/6. This resulted in the surface radioactive contamination of mines (including adjacent territories), buildings, constructions and equipment. The use of rock dumps from the mine Severnaya-Ventilyatsionnaya for the construction break stone manufacture led to the radioactive contamination of certain regions of Krivoy Rog, including Terny township. Only 15% of total activity of processed uranium ore is extracted with the uranium product. The remaining activity passes into dumps as tailings. Organized spoil areas are the finishing procedure of the ore processing technology. The Eastern Mining Processing Plant (EMPP) is involved in all works related to uranium ore production and processing. Main sources of radioactive contamination in Zhovti Vody region are: Leach Plant (LP), tailings pond Bog iron ore quarry (BIOQ), tailings pond Shcherbakovskoye (Shch), mine dumps Olkhovskaya and Novaya. Sources of environment pollution at Zhovti Body’s industrial site are dust and gas ventilation emissions, radioactive tailings of the LP, dusting of radioactive rock dumps, radon waste from tailings and dumps, discharge water of Novaya mine that contains hyperactivities of natural radionuclides. Nowadays, uranium ore is produced mainly in two production sites. The latter are Ingulskiy and Smolinskiy pits, where ore is processed in roaches using the underground method at a depth of 300-500 meters. 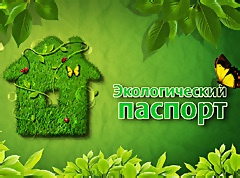 Novokonstantinovskoye deposit is being developed.